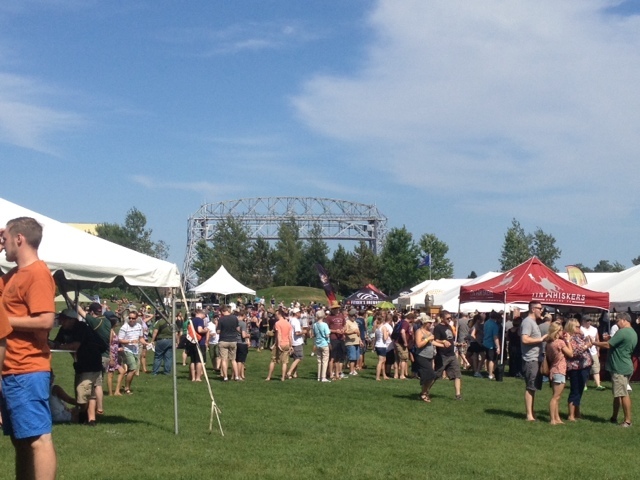 This past weekend we went up to Duluth, MN for the All Pints North beer festival. 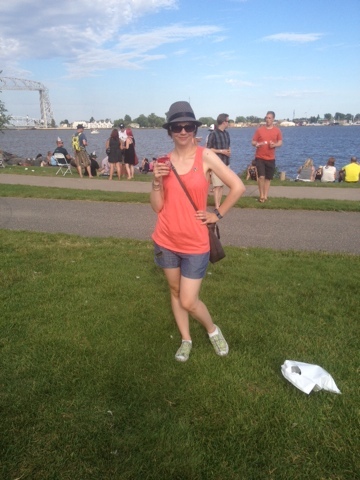 This has become my favorite of all the MN Beer festivals. 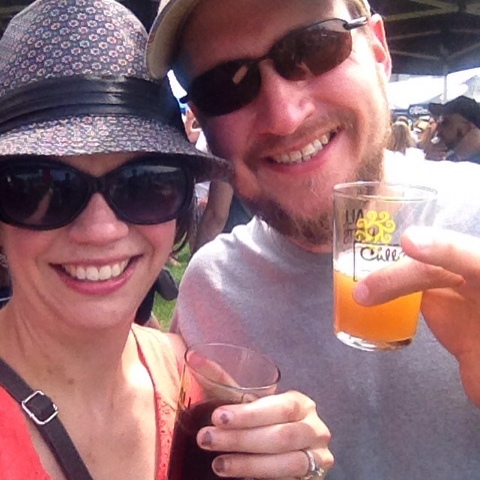 I'm not sure if it's the fact that we're getting away for a weekend or the summer vibe or the fact that it's in one of my favorite cities in the state or what it is, but it is just my favorite of all the beer festivals. We drove up on Saturday and just spent one night, next year I might be tempted to have us go up on Friday so we can have a little extra time in Duluth, but it worked well for this year to just go one night again. We dropped off Ollie in the morning with Nate's parents and made it to Duluth by around 2:00. The festival started at 3:00, so we had just enough time to drop off our things at the hotel and then walk over to the park. The gates opened and the bagpipers lead us inside the park. I seriously love that every beer festival starts with bagpipes! 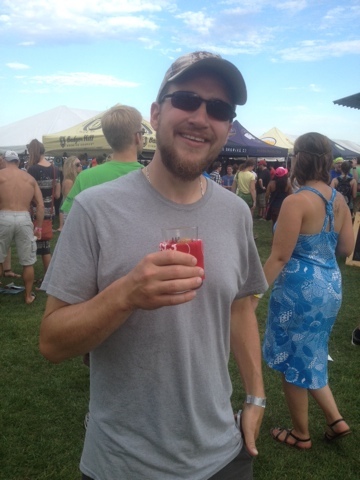 We stopped at the Surly Brewing Company tent first, we knew from past experience that their lines would get long and they would likely run out of some of the special kegs they brought, so early would be better than later. We tried their Nein, which is their ninth anniversary beer. 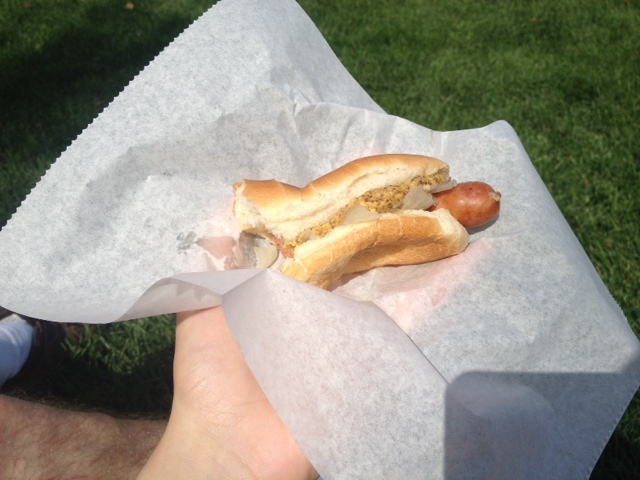 We hit up a few other places, ran into a few people we knew from the Cities and then decided we needed a little food to go with our brews, so we grabbed a hotdog from my favorite food truck of all time, Natedogs. 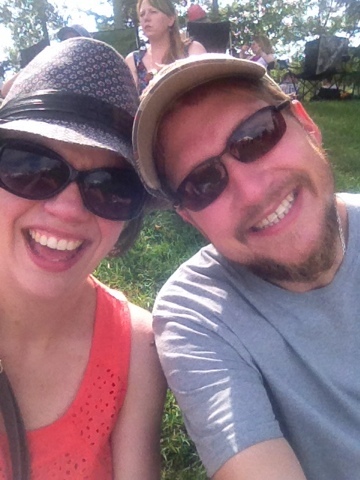 We also grabbed some water (it was pretty warm, even for Duluth and our rule was one bottle of water per hour so we wouldn't get heatsick) and parked on a hill in the shade for a bit. It's so fun to people watch at these events! It was such a beautiful day. 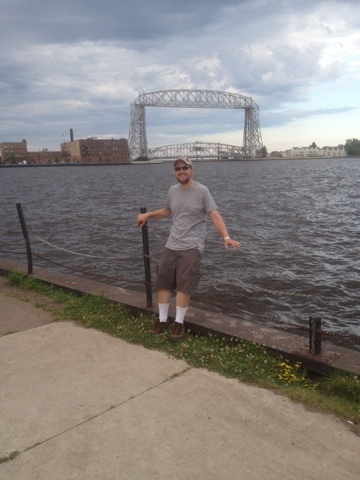 It was pretty warm, but the breeze off Lake Superior really helped a lot. 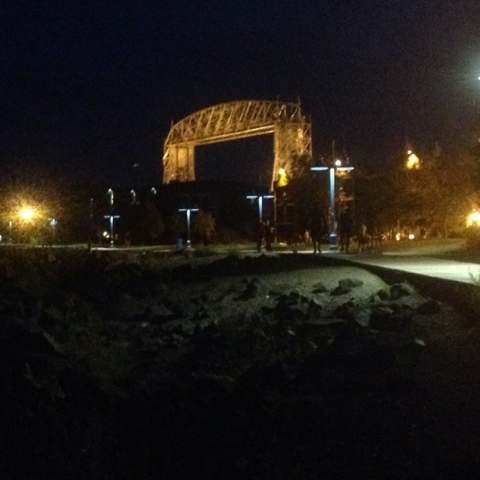 The backdrop of the iconic Lift Bridge in the background was pretty neat too! Crowd shot - Lift Bridge in the background, you have to love it! Of course I made Nate take a bunch of selfies with me. He's a good sport. 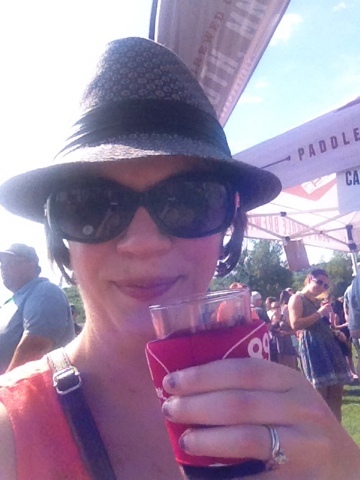 Outside of the Bent Paddle tent (they are local to Duluth) they had cute whiskey barrel tables and stools to sit on so we stopped there for a bit. 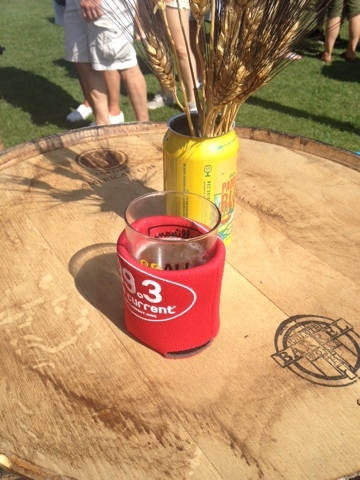 I thought this was so cute - barley in a beer can. I might have to duplicate that for our Oktoberfest party this year! Another selfie while Nate was in line getting something. I wanted to show off my hat. I remembered it was very sunny with not much for shade last year so I decided a hat was very necessary! 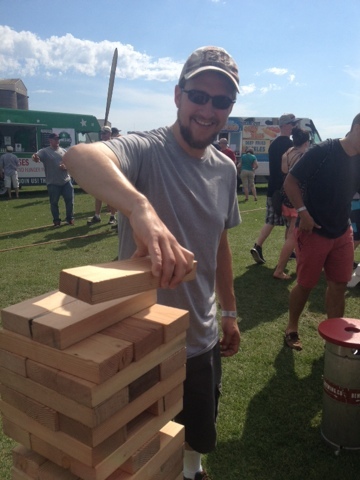 Bent Paddle also had a giant Jenga game, so we decided to play for a bit. Nate was the victor, but it was a very close game. We had the tower almost taller than both of us for a time! He is pretty much my most favorite of all time ever. Pretty soon it was 7:00 and the party was over! It goes by so fast. We made sure we paced ourselves well, we shared everything and as I mentioned, we made sure to drink plenty of water too. We stopped by the merchandise tent to pick up a shirt I liked, we each grabbed one final beer taste and then we started our walk back to the hotel. 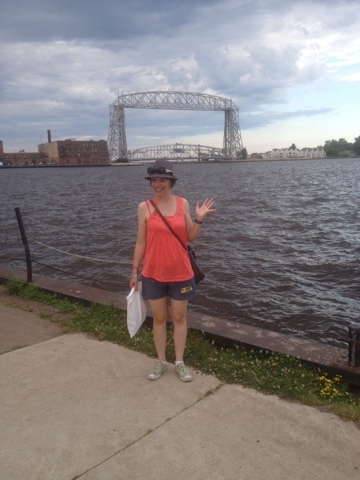 We had to take pictures by the Lift Bridge on our way back to the hotel of course! 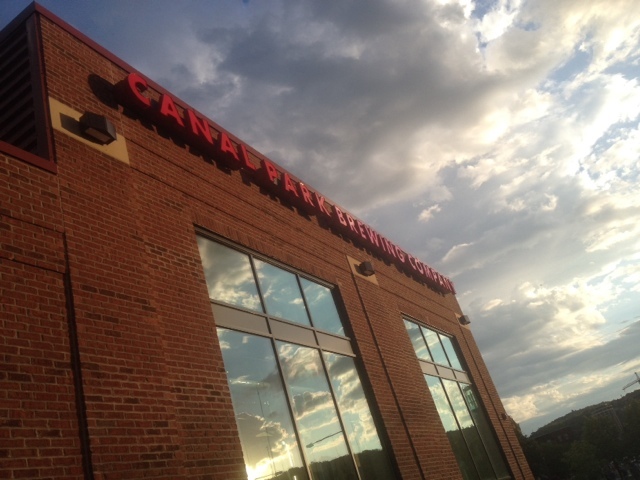 Our hotel was right next to Canal Park Brewing Company so we stopped over for an after festival snack and a final beer and sat outside and enjoyed the view of Lake Superior and watched people walking the boardwalk. We grabbed breakfast on Sunday morning at a restaurant not too far from the hotel, then drove about twenty minutes north of Duluth real quick to stop at a smokehouse we love to get some smoked fish to bring home with us. Then we drove back home to the Cities and were reunited with our boy. We really had a great time though. I absolutely love this festival and plan to return again and and again. I'm already excited for next year!